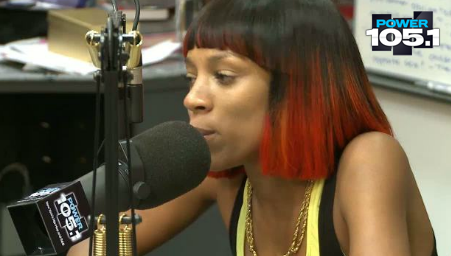 Yo, when I saw this interview I damn near cried feeling so bad how Charlamagne went in on Lil Mama. I get it though, he is there to go hard at her for questions that viewers like me and you want to know from the rapstress host of popular MTV show America's Best Dance Crew. I mean she comes off a little weird a little shaky with answers, but she holds her own. Check out the interview for your self and tell me if you guys think Charlamagne was too hard on Lil Mama.